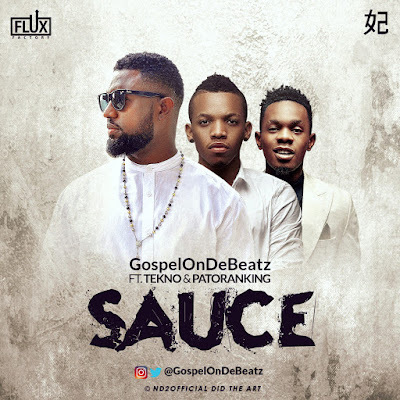 Producer GospelOnDeBeatz comes with a new single titled "Sauce" he features afro-pop star Tekno and afro-dancehall Patoranking. Tekno and Patoranking are expected to be housed on Gospel’s forthcoming extended play. The rich track produced by GospelOnDeBeatz with trumpets played by Kwitee, and saxophone by Tosin Oni is Mixed & Mastered by MillaMix.